Why would I need self storage in Bedford Park, IL? There are a variety of reasons why you might need self-storage in Bedford Park, IL. How much is a storage unit in Bedford Park, IL? The cheapest storage unit in Bedford Park, IL is $25.00 per month. What size storage units do you have available in Bedford Park, IL? In Bedford Park, IL we have sizes that range from 5'x5' to 10'x30' to suit your storage needs. How much is it for a 5'x5' storage unit in Bedford Park, IL? The cheapest 5'x5' storage unit in Bedford Park, IL is $36.00 per month. The village of Bedford Park is primarily an industrial development, with a small residential area within its boundaries. Just 15 miles from Chicago's center, Bedford Park has been a prominent transit center for more than a century. Considered an Illinois enterprise zone, Bedford Park is home to a variety of industries and continues to draw new businesses to the area. The area that's now known as Bedford Park was just acres of flat prairie land until the early 1900s. At that point, Corn Products Refining Co. began establishing a wet milling plant in the area, adding housing for their employees throughout the 1910s. The village was named for E.T. Bedford, the president of Corn Products Refining Co. at the time. Local government was established, schools were constructed, and police and fire services were provided by volunteers. In 1940, Bedford Park was officially incorporated as a village of Illinois. From the beginning, it was designed with a major industrial presences and only small allowances for residential housing. Bedford Park is home to hundreds of businesses that benefit from the village's direct connections to interstates, rail lines, commuter trains and Midway Airport. A business-friendly community, Bedford Park has a thriving retail sector, a busy industrial district, and ample utility and telecommunications services. The village also has six hotels to welcome visiting business and leisure travelers. All of these businesses provide a number of jobs in the area, with many people commuting from outside the village limits for work. 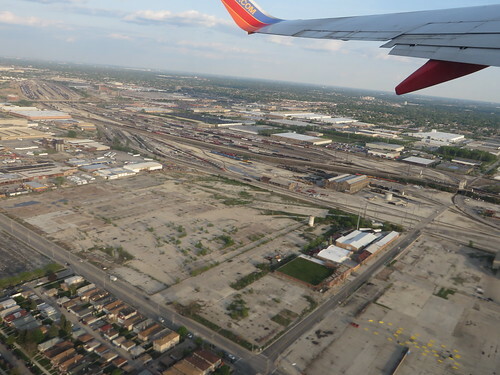 Bedford Park and the greater Chicago metropolitan area boast a wide range of industries. Some of the largest in the area include trade and transportation, professional and business services, and education and health services. The Cook County School District 104 manages the schools in the Bedford Park area. Utilities: The Village of Bedford Park Water Department manages local water services. Garbage and Recycling: There are a few different waste disposal companies that serve Bedford Park, including Waste Management and Advanced Disposal. Transportation: Because so many people commute to Bedford Park, it's fairly well-connected by way of public transit. The Chicago Transit Authority operates a network of routes in and around the village. Bedford Park's primary residential neighborhoods are concentrated on the village's southern side. Industrial areas are located in the village's center and on the north and west sides, while the village's retail core is on the east side. Our lowest priced units in Bedford Park, IL average $32.14 per month. 292 people have reserved units in Bedford Park, IL in the past 30 days. There are 7 locations within Bedford Park, IL's city limits. There is 1 location in Bedford Park, IL that offers AC and Heating features.